Aveo? Please, don't bother us with yesterdays. 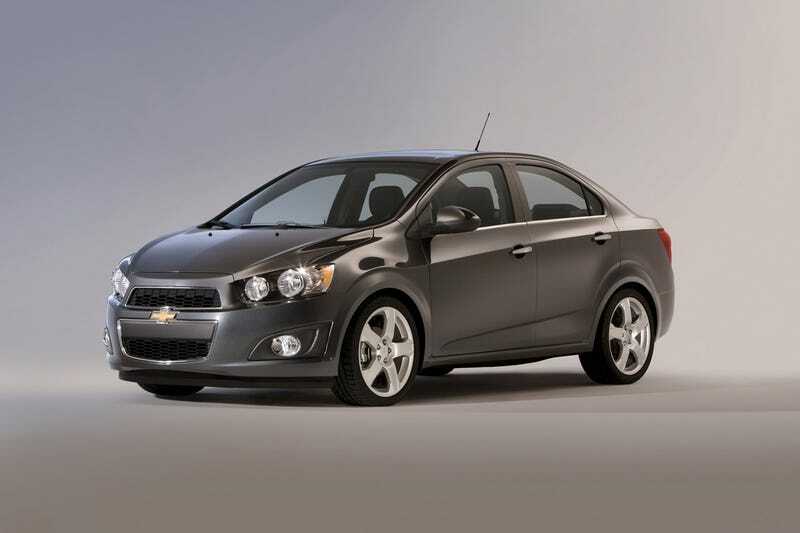 Chevy's dropping the 2012 Sonic sedan and hatch subcompact today in Detroit. The Fiesta fighter gets a standard 1.8 liter four, with an optional, 138 hp 1.4 turbo.